Our partners are exceptional investment managers who possess superior investment judgment and pursue a well-defined investment process with durable competitive advantage. Know of any exceptional investors we might not have heard of? Please help us help MIT and share a name and contact info! Your hard work would support MIT. MITIMCo’s investment returns support cutting edge research, innovative education, entrepreneurialism and a host of other activities that provide service to society. We have a long time horizon. With a time horizon measured in decades if not centuries, MIT can endure inevitable short-term market fluctuations and wait patiently for the long-term realization of value. We work hard to be great partners. While we recognize that investment managers will be the primary drivers of our partnerships’ success, we hope we can contribute by seeking to be great partners. We have helped our managers by being a stable source of capital, by acting as a sounding board for organizational and structural decisions, by introducing new managers to experienced managers, by sharing reading recommendations, and by linking managers to knowledgeable experts within our network. We enjoy partnering with firms early. Investing early in a firm’s evolution allows us to enjoy stronger and longer-duration partnerships. We have historically invested in firms with as little as $5 million of assets under management. We also have put managers in business on numerous occasions, and do so without asking for any ownership in the firm. We seek opportunities others avoid. For example, we love to engage with firms without any institutional investors, firms with unusually long time horizons, firms with small amounts of AUM, firms pursuing niche market sectors, and one- and two-person investment shops. We pursue relationships that will last for decades. As a result, we do a lot of work upfront before entering into a new partnership with a manager http://shieldtactical.net/map167. You can learn more about our Investment Due Diligence Process here. "We strive to make our money management organization exceptional, in all aspects. One important vector in that goal is choosing great clients: those who challenge you to be the very best you can be. In that regard, MITIMCo has raised the bar to such high levels that, eventually, it may become one of our greatest competitive edges to have them as partners." "We couldn't ask for better long-term investors than MITIMCo." MIT is staffed with smart, engaged and energetic professionals who make the relationship enjoyable, challenging and interesting for us. MIT is the rare institution that fits perfectly in our friends and family partnership. MITIMCO found us a few years ago, and after a series of discussions and meetings, they overcame our substantial skepticism that an institution such as theirs could be a good long-term partner for a niche fund like ours. MIT enables us to work at our best. They are true long-term investors. They develop the confidence to invest with us over the long term much as we do with the companies in which we invest: through careful due diligence and ongoing monitoring. MIT has added capital quickly when we have asked for it. In fact, after their first investment the partnership declined in value very quickly and we called MIT on a Friday and had more capital on Monday. Rather than being simply a key investor, they [MITIMCo] became a very unique lead investor and partner. They [MITIMCo] have been true to their word in all dimensions (including being a source of new capital during a period of market turbulence that created attractive opportunities), and we hope and expect they will be partners with us for many years to come. 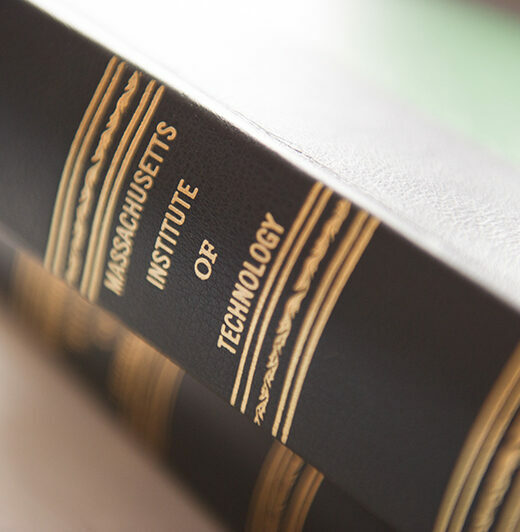 We have several core principles that guide us in our effort to provide current and future generations of MIT scholars with significant resources. They can be viewed below or in our Investment Brochure. On a long-term basis, we see three primary ways to earn high real rates of return. First, we want to partake in the long-term returns of high quality businesses. To the extent we can invest with managers who buy holdings at attractive prices in well-managed businesses with strong and sustainable competitive positions, good growth prospects, and high returns on capital, we can earn significant rates of return through the patient compounding of capital more info. article source Second, we want to participate with exceptional people applying specialized skills to add value to assets. Examples of this would include real estate operators who buy and fix properties, venture capitalists who help start-up entrepreneurs grow businesses, energy firms that discover and extract commodity reserves, and private capital managers who buy and improve the operations of well established companies. In these cases, the investment returns consist of both the underlying intrinsic growth of the asset and the value added by applied expertise. In this way, even lower quality, low growth assets can offer substantial rates of return. read more Third, we want to allocate capital into market dislocations. During periods of uncertainty or severe economic stress, markets often experience significant price declines. While price declines usually are rational responses to new information, certain securities may decline in price due to fear and other short-term concerns not relevant to long-term intrinsic value. In these circumstances, we have the opportunity to earn excellent returns by maintaining a long-time horizon and having the fortitude to buy when others are fleeing the market. We partner with exceptional investment managers. We execute the vast majority of our investments through external third-party managers. To earn high returns, we may decide we want to invest in arenas as diverse as stocks in China, real estate in Rio de Janeiro, and start-up companies in Silicon Valley. Rather than attempt to hire in-house experts in all of these areas, we instead seek to identify the world’s best investors in each area and partner with them. In this way, we are able to work with the people who have the best competitive advantages in executing their investments given their specialized insights and deep market knowledge. While it can be a long and difficult search to find these unusually talented external managers, we have the opportunity to earn very high rates of return over many years when we do. In looking for investment managers, we seek exceptional people with a well-defined investment process and superior judgment. We look for managers with a differentiated investment focus and a circle of competence matched by their abilities, resources, and personality. We focus on managers with strong leadership characteristics, motivations beyond money, and acute awareness of their strengths and weaknesses. We search for good partners willing to align themselves with their investors and act in their investors’ best interest. We look for people with the highest standards of ethical behavior and strong reputations of fair dealings with others. MIT will undertake direct investments only if we possess the necessary expertise and competitive advantages. For example, we manage a portfolio of real estate in Cambridge around the MIT campus. Because MIT owns a critical mass of land holdings in Cambridge and is a large driver of demand for real estate space, we have advantages in this arena that third parties cannot match. In this particular circumstance, it also is important for MIT to take direct control of these investments because our goal is not simply to seek the highest financial returns with the properties. While it is important for a real estate project to be financially viable for it to be sustainable, we also want to attract innovative companies to the Cambridge area and to create a lively interactive environment that benefits local residents, local businesses and the MIT community. MIT is a value investor with a focus on fundamental analysis. A value approach emphasizes the ability of investors to calculate the intrinsic value of assets by forecasting expected cash flows across a range of potential future outcomes. Value investors look to purchase investments at a significant discount to intrinsic value to account for the uncertainty inherent in any attempt to predict the future. Determining that a sufficient “margin of safety” exists between the price paid for an asset and a conservative projection of future value is the primary determinant for potential inclusion in the portfolio. Intrinsic value provides a framework around which value investors can act. Rather than being swayed by emotions, market sentiment, or short-term news, a thoughtful, deliberate value investor can assess if investments are priced below or above long-term intrinsic fair value and decide to buy or sell as appropriate. Our approach leads us to prefer certain types of investment strategies. We prefer strategies in which managers are willing to hold cash if opportunities to buy assets at a compelling discount to intrinsic value are not available. We prefer strategies in which managers can easily articulate why their advantage in buying assets with a margin of safety is repeatable and sustainable over time. We prefer strategies with long-time horizons because it usually is easier to identify which assets and businesses will revert to their intrinsic value over the next few years rather than those likely to revert over the next few months. Finally, we prefer strategies in which investment managers have an analytical or behavioral advantage over other market participants in determining the intrinsic value of a security. For example, an analytical advantage could arise from a manager’s focus on a large specialized and complex market niche such as energy or from a focus on a small subsector of securities that most other investment managers ignore. A behavioral advantage could result from a manager’s focus on long-term business value regardless of current market conditions. Our approach causes us to avoid many types of investment strategies. We avoid strategies that are fully invested regardless of asset valuations. We avoid strategies that define success as beating a benchmark even if that benchmark loses money. We avoid short-term trading strategies that attempt to capture small pricing anomalies. We avoid strategies that depend on financial engineering to generate returns. We avoid purely momentum based strategies that buy and sell positions depending only on recent stock price or earnings trends. We avoid strategies that are too opaque or too complicated for us to understand. We avoid strategies that focus on areas in which pricing is determined by sentiment such as works of fine art because we do not know how to calculate long-term intrinsic value if the assets do not produce cash flows. A value orientation does not preclude high growth investments. On the contrary, growth potential is often the primary driver of long-term intrinsic value. For example, venture capital investments in companies such as Google, Facebook, and LinkedIn meet our value criteria when the expected value of their future cash flows is multiples of our entry valuation. Of course, once the growth potential in these companies is recognized by the market and asset pricing builds in overly rosy projections of the future, we want to allocate capital elsewhere. Our approach leads us to be contrarian. As markets appreciate in price and reduce the margin of safety between asset pricing and future expected value, we want to reduce our exposure. We are not comfortable maintaining exposures at overly expensive valuations no matter how much longer we believe the euphoria might last. In contrast, when markets decline in price, investors become frightened, and press articles turn negative, our interest increases. While we will never blindly add exposure simply because prices have fallen or because other investors are fleeing, we believe that investment managers are much more likely to generate returns from finding bargains in the overlooked, underappreciated areas than attempting to time their way in and out of frothy, overheated arenas. We spend significant time understanding microeconomic situations. Our focus on microeconomic situations consists of reviewing and understanding the underwriting of specific investments at the asset or company level. These activities improve our capability to underwrite investment managers, inform our capital allocation decisions, and help us identify potential tactical opportunities. We believe the focus on microeconomics is the best way for us to generate compelling returns over time. In microeconomic situations, we have the opportunity to build an advantage over other capital allocators. Because there are many thousands of micro-opportunities worldwide, we can selectively focus and understand more about a subset of these than other investors. With this knowledge, we have the opportunity to identify significant and compelling opportunities that other market participants miss or misunderstand. We have confidence in independent thinking. We believe in independent thinking and seek to build our portfolio without regard to peer positioning or benchmark weightings. This stance is not oblivious to the reality that MIT competes with other institutions for faculty and student talent. Nor does it ignore the fact that occasional comparisons to a passively-managed benchmark can be an important measure of investment effectiveness over the long term. However, worrying about the consequences of deviating from other investors or indexes would limit our ability to make the meaningful investments that provide the best way to produce high returns. We believe this stance to be a significant potential differentiation for us as most investors are forced to stay close to peers and benchmarks given that they are subjected to frequent relative return comparisons. In practical terms this principle means that MIT is willing to have significant exposure to securities and strategies that behave nothing like peers or broad benchmarks and that our returns may deviate significantly from others. We maintain a long time horizon. MIT maintains a long-term investment horizon. Most market participants are forced to show results over short time horizons to stay in business. As a result, we have a vastly reduced level of competition for ideas that take many years to realize and we regularly invest in opportunities that take time to mature. An excellent example is MIT’s biotechnology stocks. While many investors trade these stocks based on news flow, we prefer to take long-term positions in companies that are well-positioned to create innovative new products. Many of these companies are cash flow negative and require significant patience to hold through the discovery process and regulatory approval cycle but can pay off handsomely in the long-term. We view mistakes as the inevitable result of an innovative investment process. Successful innovation requires the willingness to make mistakes. By definition, growth and learning require us to expand our circle of competence into areas we have never tried before. We view mistakes as the cost human beings pay to develop judgment and expertise. As a result, the pursuit of a mistake free environment is counterproductive. Of course, not all mistakes are created equal. Bad mistakes are those that result from sloppy thinking, lack of effort, poorly designed decision making processes, and careless execution. These kinds of mistakes teach us only that we have developed a poor foundation for success. Good mistakes, on the other hand, are those that result from a thoughtful and carefully considered stretching of our capabilities. These kinds of mistakes teach us interesting new lessons and prepare us for greater achievement. To be valuable, mistakes must be made net present value positive. To make mistakes net present value positive, we commit to openly admitting, recording, analyzing, and discussing our errors so that we may learn from them. We can further increase the net present value of a mistake by sizing forays into new areas with small dollars or by waiting for an unusual margin of safety that offers an extra cushion against unknown factors. Once we have developed better judgment and further expertise, we can act more boldly in bigger size. We borrowed this nice turn of phrase from an investment manager. We concentrate our investments as much as is prudent while maintaining a risk framework to create the resilient portfolio necessary to survive in an uncertain world. Our investment process is designed to pressure capital into our best ideas. Not surprisingly, we have discovered the exceptional investment ideas at the top of our rankings to be extremely rare. As a result, when we find them, we want to invest a significant amount of money. To ensure that we do not become over-concentrated and expose MIT to overly adverse outcomes, we maintain a risk framework designed to ensure our bottom-up bets do not aggregate into imprudent overall exposures. The risk framework is focused on six metrics: currency exposure, geographic exposure, leverage, liquidity, manager concentration, and potential drawdown. We track currency and geographic exposure to ensure we are not overly exposed to a single monetary regime or political system. We track leverage to ensure that we do not accept undue re-financing risk or interest rate risk. We track liquidity to ensure we have sufficient liquid assets on hand to meet the spending needs of the Institute. We track manager concentration to ensure that we are not unduly exposed to fraud or other idiosyncratic events. We track our expected drawdown exposure under various stress scenarios to understand the impact investment volatility could have on the flow of funds provided to the Institute’s operating budget.